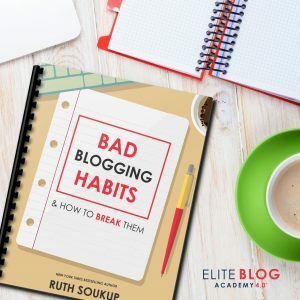 So you have an amazing course or ebook you want to sell? You’ve spent months putting it all together and you’re finally ready to launch. 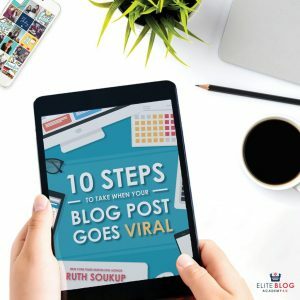 What are the essentials to a successful sales page so that you convert readers into customers? Below I will go into the details of what has worked super well on my sales page. I continue to tweak it and improve it. Every single word has been carefully selected to help move my reader from an browser to a paying customer. 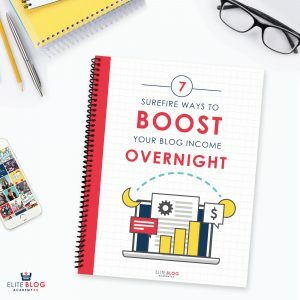 In less than two months I have sold over 100 copies of Blog by Number, every busy moms’ ultimate guide to starting a blog. Hopefully you have done your research before you invested months of time working on product. So I am sure you know that any product you create must solve a problem. Hit on that problem as the first thing on your sales page. Let your audience know you have the solution to their pain point. 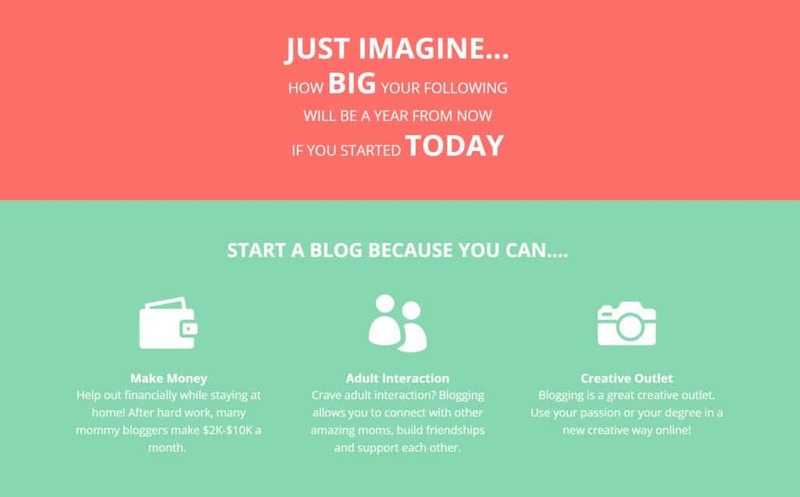 The problem I solved with Blog by Number was that so many moms want to start blogs, but they do not have time. 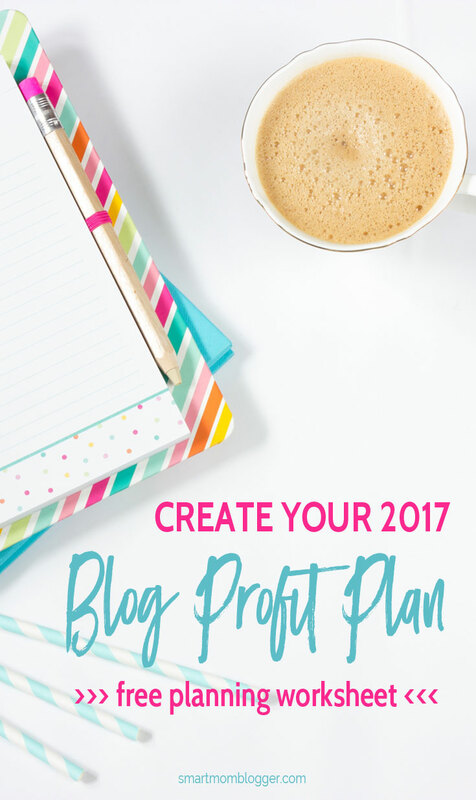 In my ebook I have numerous templates, resources and time saving tips to help moms get started quickly. 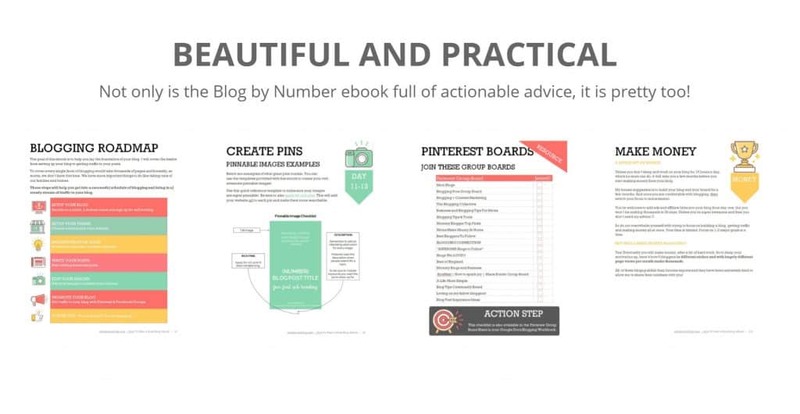 It’s not a sea of text, it’s actionable, quick and implementable advice. Do you see the power word in the image above? It is one of the 5 most persuasive words in the English language. It’s subtle but it causes people to take action. It’s the word ‘because’. We have been influenced from childhood to expect a good reason following that power word. So take this quick tip and use that word wisely, give strong reasons following it, and convert more sales. 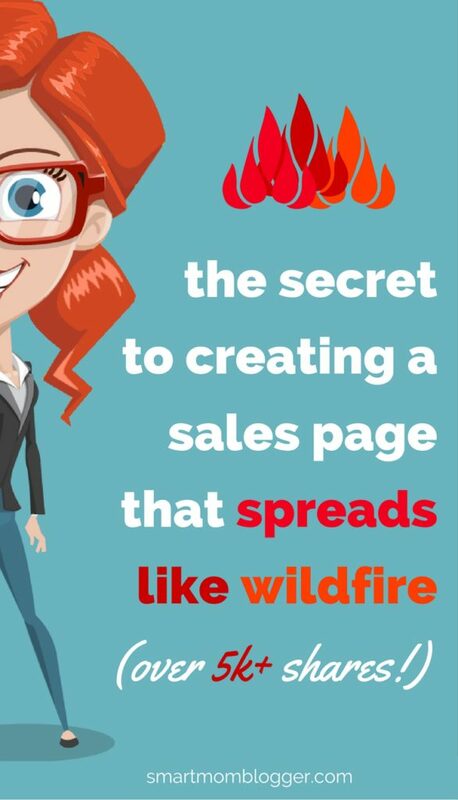 This is such an essential part of a powerful sales page that converts readers into buyers. It is a must that you include reviews of your product from users. And bonus if those reviews are by influential people in your niche. 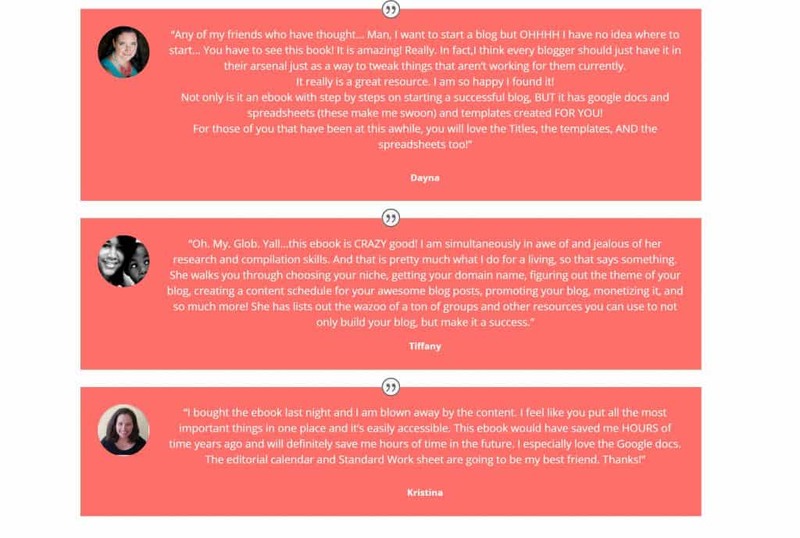 Give away a few free copies of your product to get reviews in the beginning and include them on your sales page. Think about it, you probably do this too. You scrolll to the bottom of the Amazon page and read all the reviews before purchasing the product. Reviews are powerful and help create a strong sales page; they give you authority. 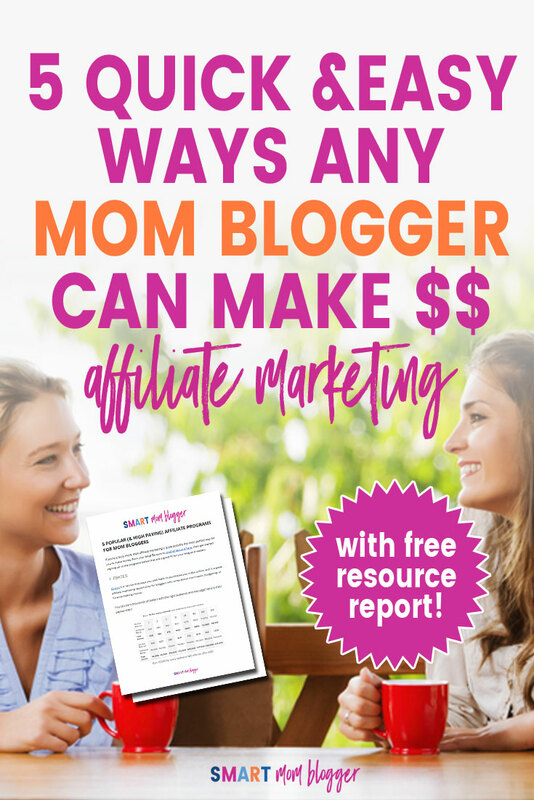 I have had numerous bloggers tell me that they bought my ebook because Dayna from LemonLimeAdventures.com loved my book. This stuff works! Shoppers today go to Best Buy to touch and feel the product. Then they go home to read the reviews on Amazon and finally hit buy. How do you use this to your advantage? How do you allow your customers to preview your product before they buy? Include a few examples of your ebook or course. Let them download a few pages to see what it looks like or offer a few lessons from your course for free! If you collect their email address in the process and they do not buy immediately, you can always try to convert them again later. Many potential customers abandon their shopping carts because they are surprised and confused by the checkout process. You want this process to be as straight forward and as hassle free as possible. 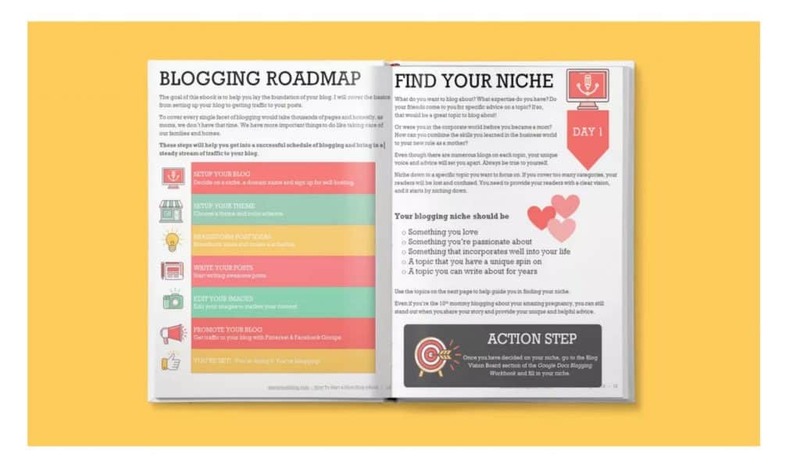 On my sales page I included a process map of what steps will happen after the reader clicks ‘Buy It!’. 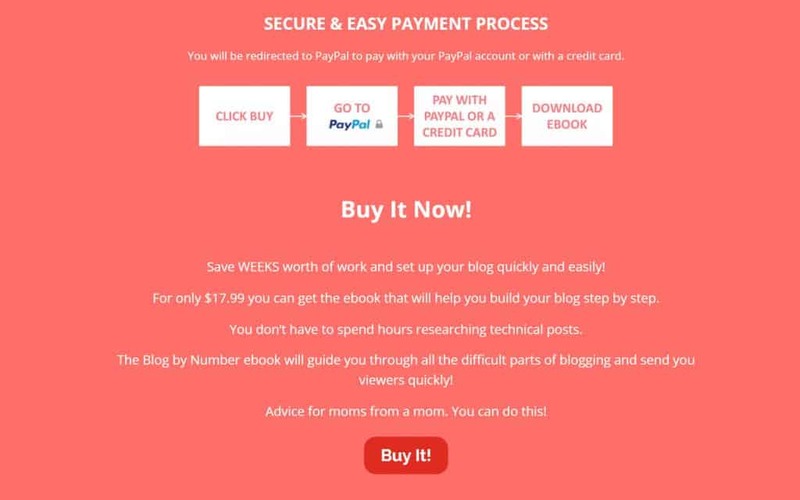 I wanted to eliminate any surprises so that when they see the PayPal checkout page, they feel comfortable and secure. Congratulations on creating a product! I know it was a lot of hard work. Be sure to include these 5 essential steps to a successful sales page when you create your own. Remember to solve a pain point, include amazing customer reviews, user powerful language, show the customer your product and make the checkout process easy. 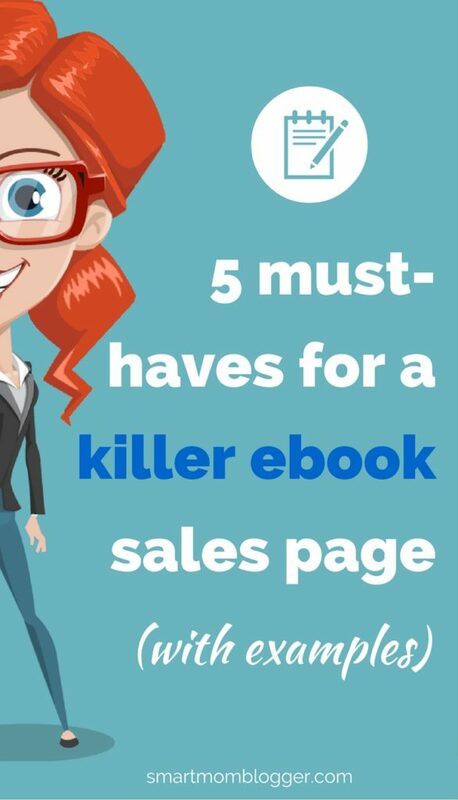 There are many more elements to a sales page that converts, but including these 5 essentials will put you on the path to major success! 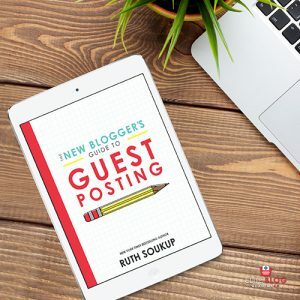 Suzi Whitford is wife, mom to two princesses, an Industrial Engineer and blogger. 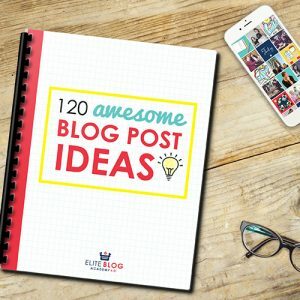 She has a successful ebook, Blog by Number, the ultimate guide to starting a blog for busy moms. 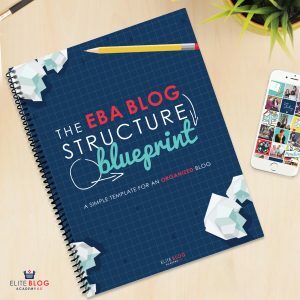 She shares blogging tips, productivity methods and resource guides to grow your blog while raising a family. Of course! I’m thankful to have you here sharing your sales page secrets with us (I’m going to have to steal some of them)! As always, your design is amazing! What did you use to create your sales page? Is that a WordPress flat theme? Hi Amanda! Nice to see you here, and thanks for the comment! I use Divi by Elegant Themes for my site 🙂 It’s super customizable! 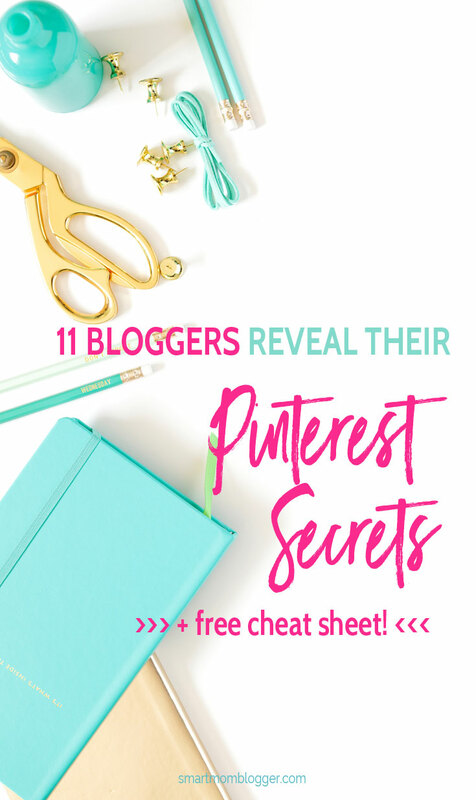 Love a post with step by step examples! Nice one Suzi!